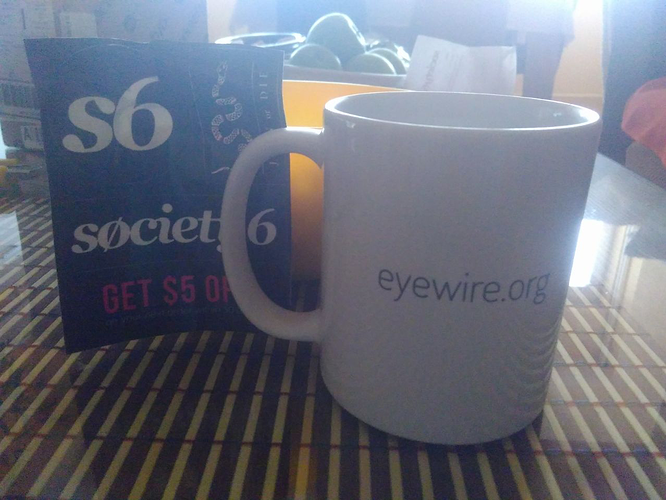 Post pics of your swag that you’ve won in competition on Eyewire! For Science! 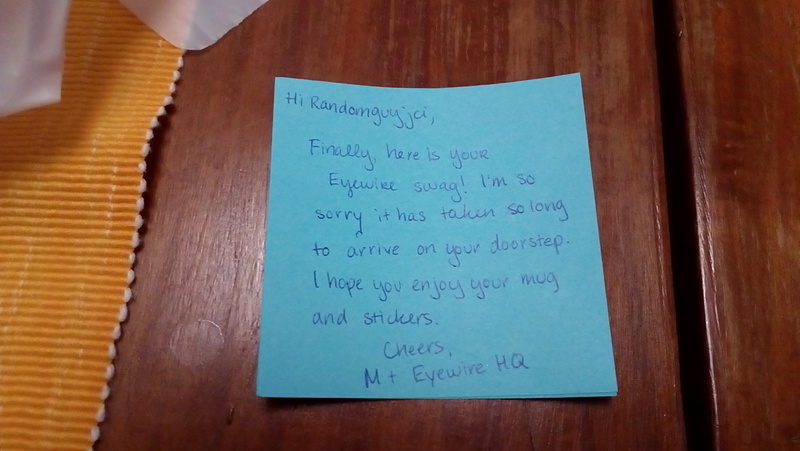 If you want to see previous swag winners showing off their cool Eyewire swag, check out this older post here. 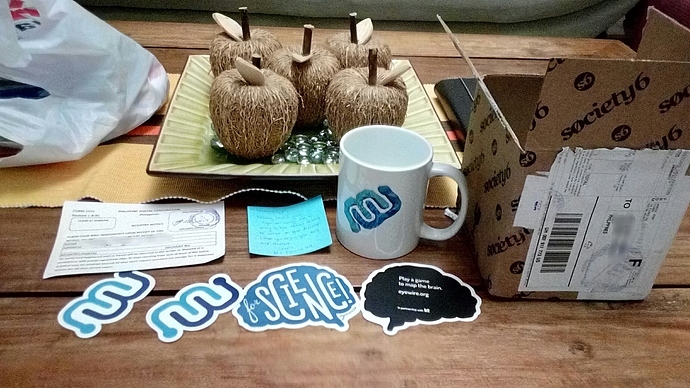 Has anyone received swag yet? Unofficial, but this is something I have. 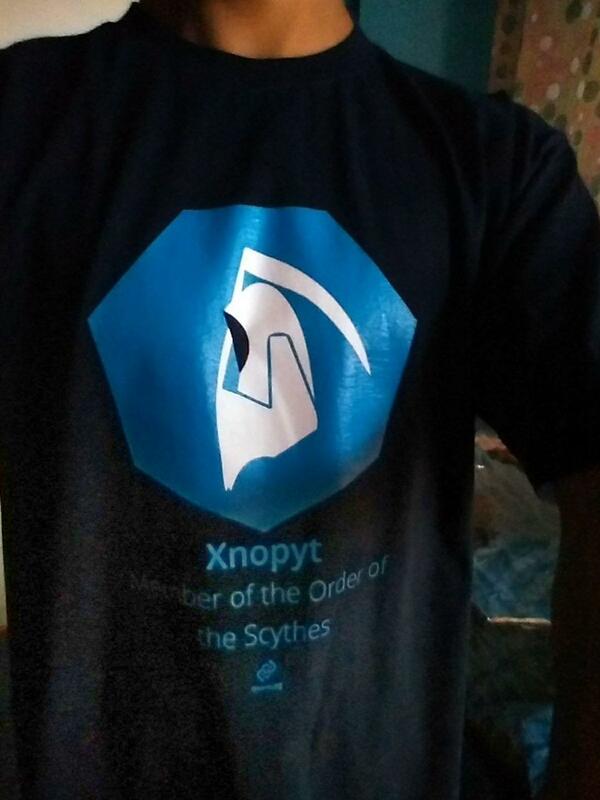 EDIT: Before you ask… My friend, the one printing the T-Shirt, mistook me and thought I was a scythe. I officially can’t wear the T-shirt for at least another 2 months. Tee hee! WOW How did you got it? One of my friends that runs a print shop made it for me before leaving the country, as a gift. I appreciate it. Oh did you left the Macedonia? Oh, no no! My friend did. YES!!! I finally got my swag! Thanks @Cliodhna for “donating” the mug! woooo nice! and a huge thanks to @susi for sponsoring the swag on the last few comps.!!! It has arrived! No stickers, though, I’m sad. Awesome! 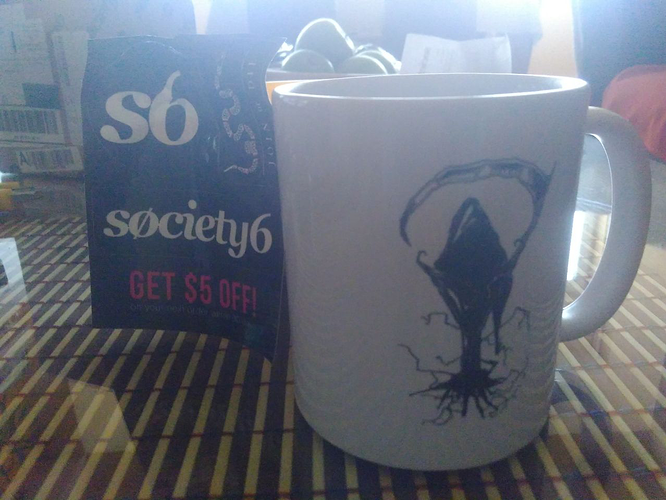 And I’m sorry, but we usually ship direct from the supplier so no stickers (random’s mug was a special case). I can however, mail you some separately in an envelope. Would you like some Eyewire logo and brain stickers, Xnopyt?